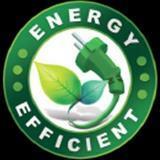 Lowering monthly utility bills with high efficient HVAC equipment is great. You can enjoy a quieter, more comfortable home, and the real kicker is the additional rebates to add to those savings. 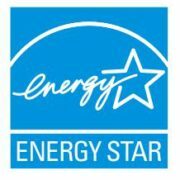 With annual utility savings, rebates, and special financing, it’s a great time to replace the energy hogs in your home. Special 0% interest financing for up to 72 months is available on select Carrier systems. Special 0% interest financing for 48 months is available on all Mitsubishi systems. We have several other financing options for any type of HVAC or plumbing installation. Get up to a $1350. instant rebate on select Carrier equipment from April 1st through June 30th 2019. Mitsubishi is offering up to $500 off select ductless/ducted systems from April 15th through June 14th 2019. These are in addition to the special financing. Utility rebates are still available through PPL, Met-Ed, and UGI – learn how you can take advantage of some of these rebates. Rebates can be claimed on water heaters, insulation, thermostats, and much more. View the detailed list here. At Zimmerman Plumbing, Heating, and Air Conditioning, we take care of all necessary paperwork to ensure your rebates are filed and come directly to you. It’s a great time to save money, save energy, and improve comfort. Please contact us with any questions.